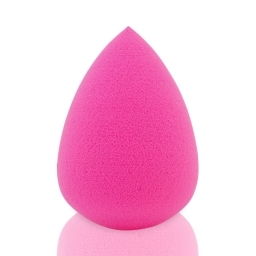 I am in love with this makeup blender! Not only is it easy to use, it made applying my makeup super simple. My foundation looked flawless after, and was super blended! No lines, no harsh fading etc. Wonderful product! The shape allows you to apply your makeup smoothly, so you can't create harsh lines, which helped me a lot. I was happy that the pointed area was specifically for my eye area, it make getting up under my eyes very easy. Plus, its reusable and easy to clean. What more could I ask for?! You can purchase yours here.